WATCH Energy Policy and the Environment: What Will Trump Do? The Environmental Protection Agency and Army Corps of Engineers have sent a proposal to revise an Obama administration rule intended to protect bodies of water to the White House for review, a move that could roll back what some industry groups have called burdensome federal overregulation. The Clean Water Act regulates bodies of water in the United States, including permits for any entity that will release chemicals into bodies of water or are responsible for cleaning up pollution and oil spills. Part of that law includes a definition of which bodies of water are regulated by the federal government, which has led to legal disputes about how the government should define what qualifies as a "Water of the United States." 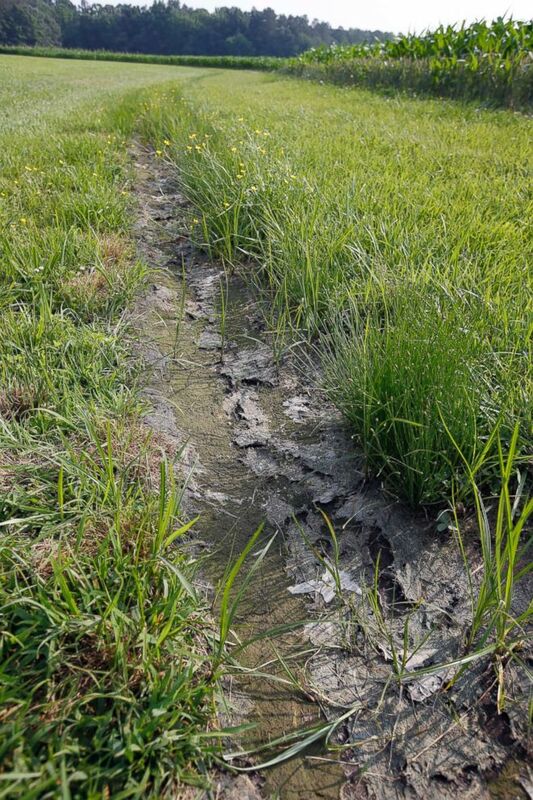 This file photo dated June 11, 2015, shows a dry water ditch next to a corn field in Cordova, Md. Pruitt has met with stakeholders around the country about the rule, including many farmers and farm groups who say the regulations are a burden on their businesses. He has said multiple times that it was an overreach for the federal government to regulate bodies of water like a "dry creek bed," "puddle" or "drainage ditch." President Donald Trump signed an executive order last February directing the EPA and Army Corps of Engineers and other agencies to re-evaluate the rule. "I was in Salt Lake City, Utah last year, as an example, and I was standing outside a subdivision that was being built in Salt Lake and I was with an Army Corps of Engineers representative who looked at an ephemeral drainage ditch that was part of this subdivision being built and he pointed to it and said 'Scott, that is a water of the United States.' And I said 'well it's not going to be anymore,'" Pruitt said Thursday in a meeting with the Nebraska governor and groups who have advocated for changes to the WOTUS rule. Pruitt tweeted Thursday night that the administration stopped that rule and proposed a "much more reasonable" version. "Farmers, ranchers, landowners, and other stakeholders are counting on EPA to listen to their input when it comes to defining 'waters of the United States,'" Pruitt said in a statement. "Today, we are taking an important step toward issuing a new WOTUS definition and answering President Trump’s call to ensure that our waters are kept free from pollution, while promoting economic growth, minimizing regulatory uncertainty, and showing due regard for the roles of the federal government and the states under the statutory framework of the Clean Water Act."